The 4R Nutrient Stewardship Certification Program has announced that the OHIGRO, Inc. Delaware facility has been added to its growing list of nutrient service providers to achieve certified status. 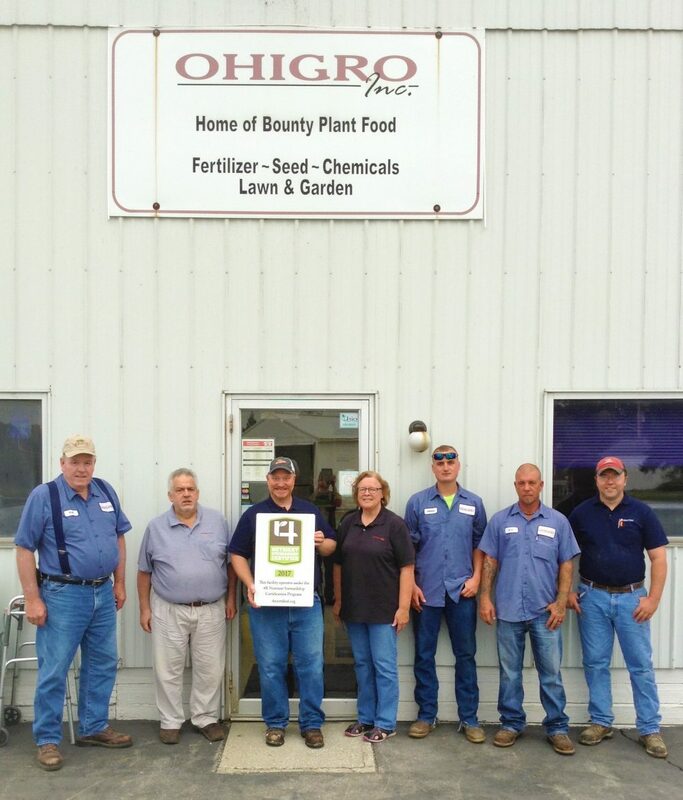 OHIGRO, Inc., a family-owned agricultural retailer based in Waldo, Ohio, has been in business for more than 50 years, providing Ohio farmers with an assortment of fertilizers, seeds, crop protection products, custom application services, as well as an array of lawn care products. OHIGRO’s Delaware facility services Delaware, Knox, Licking, and Morrow counties, with two Certified Crop Advisers (CCA) and a Certified Professional Agronomist on staff. “The Nutrient Stewardship Council is proud of OHIGRO Delaware facility’s efforts in earning certification in this voluntary program, ” said Andrew Allman, executive director of the NSC.